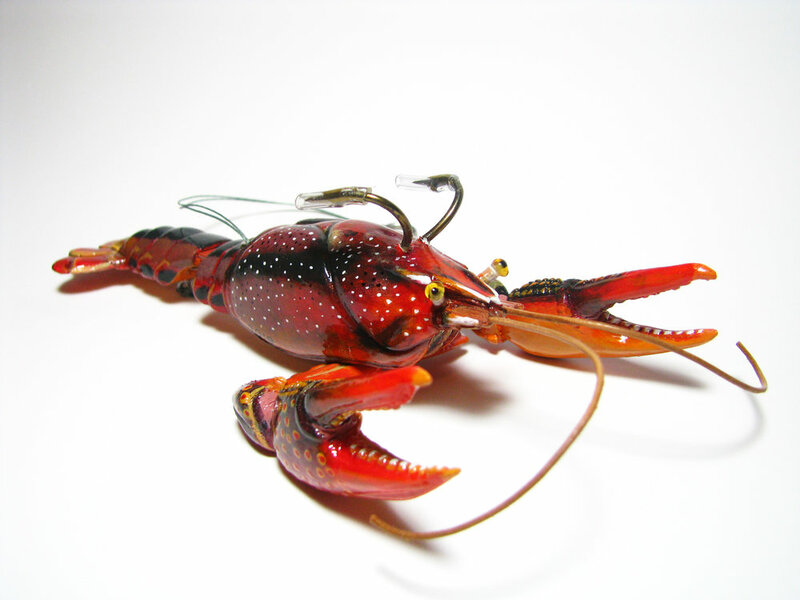 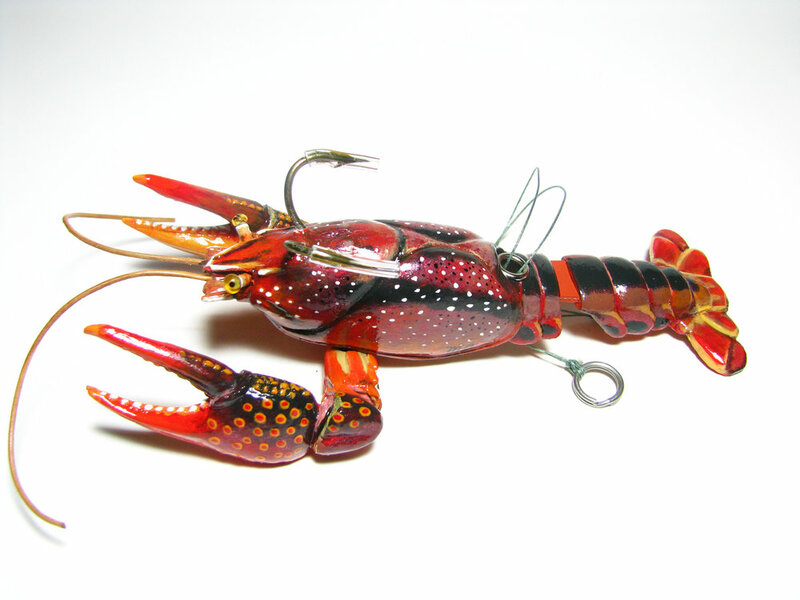 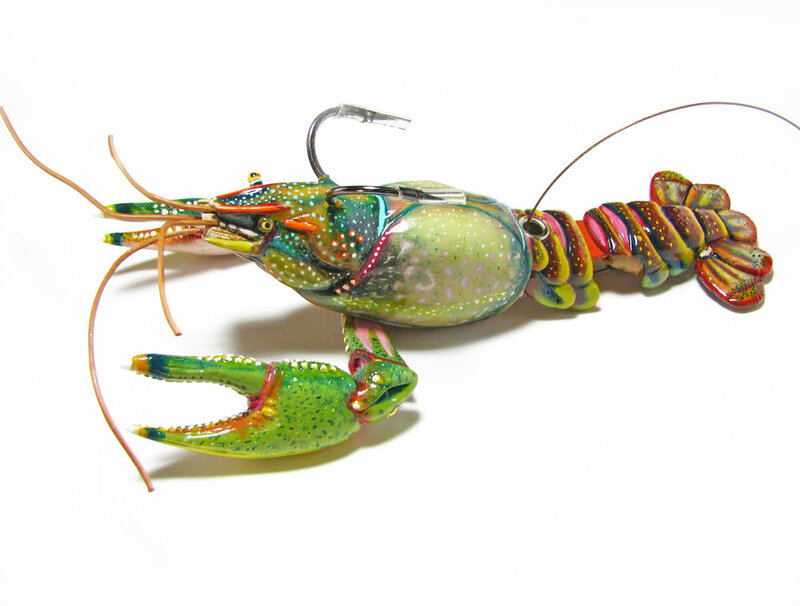 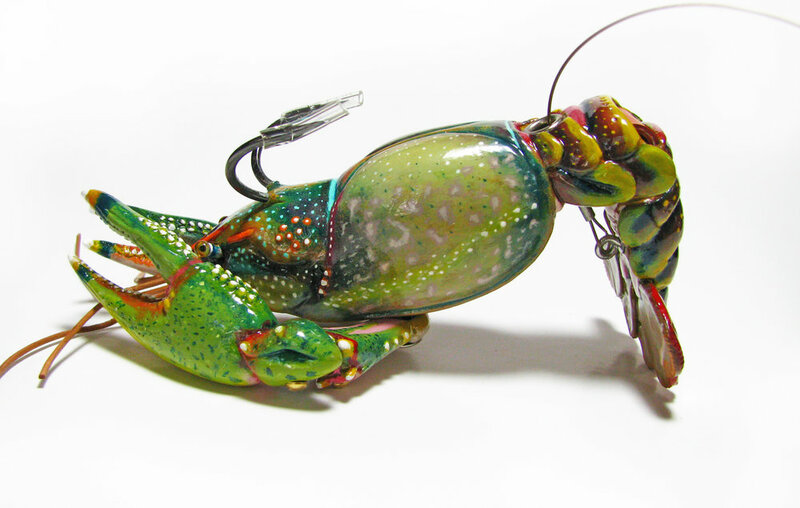 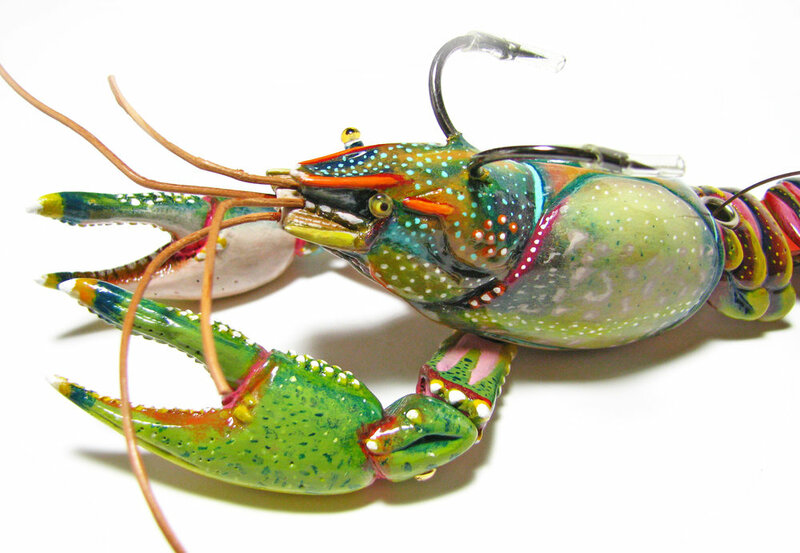 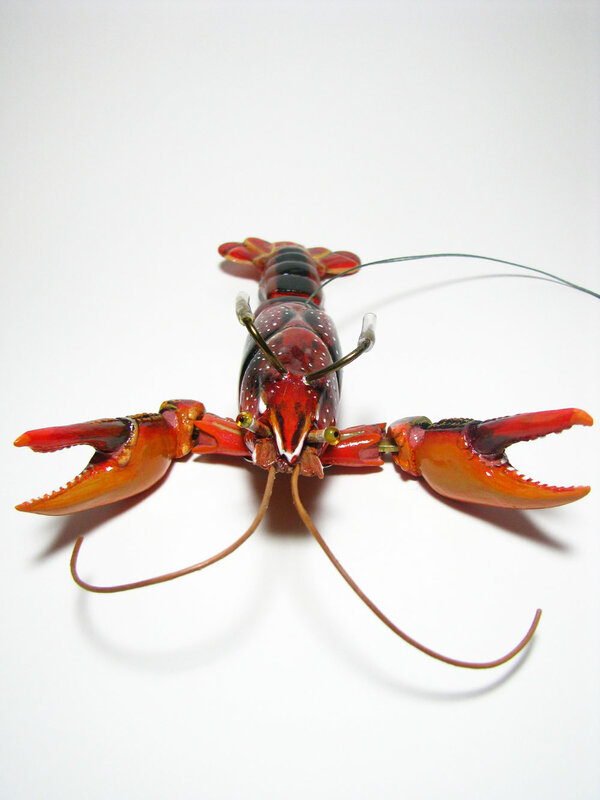 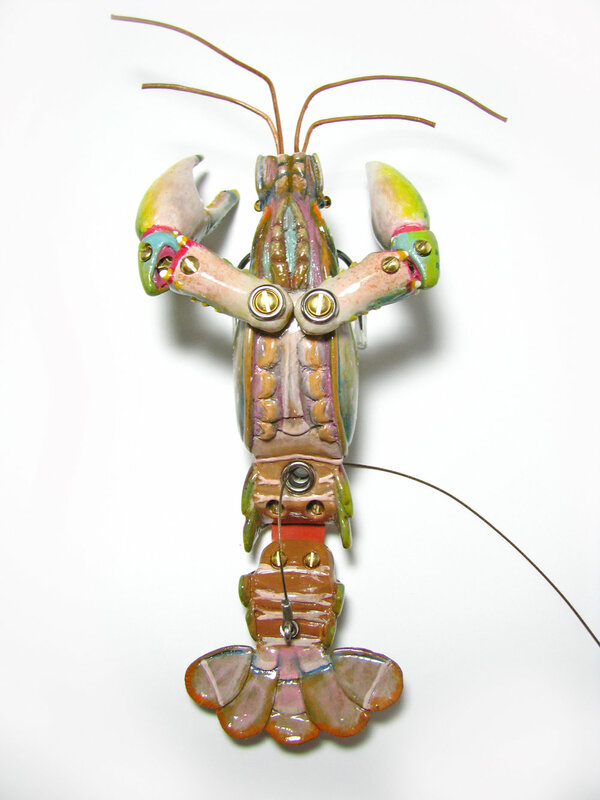 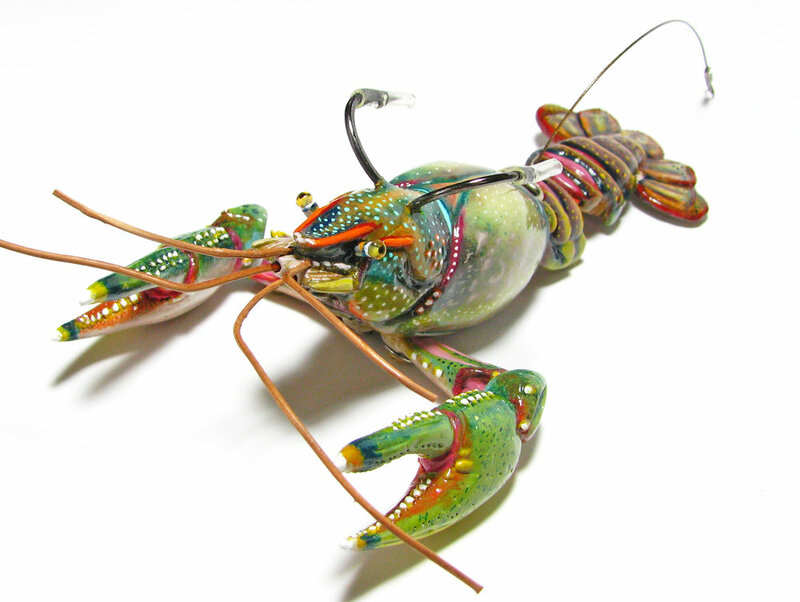 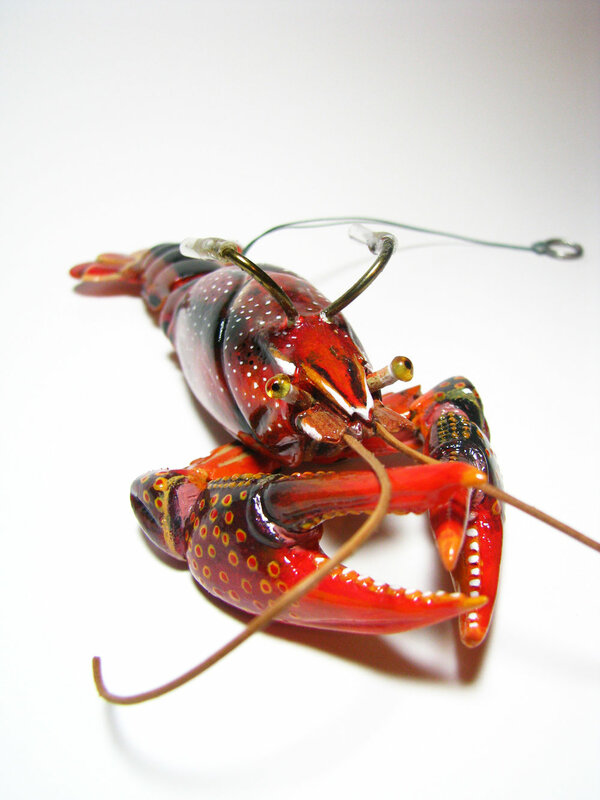 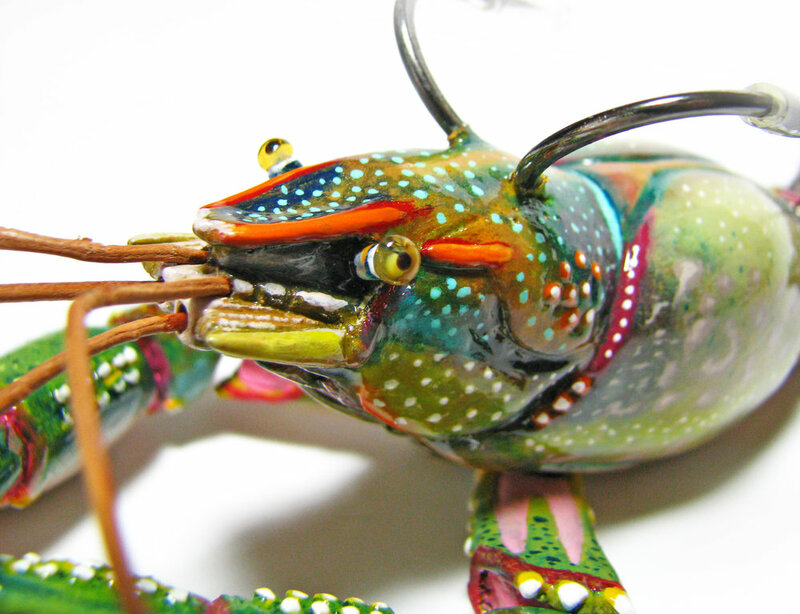 Hand-crafted articulated crayfish, approximately eight inches long. 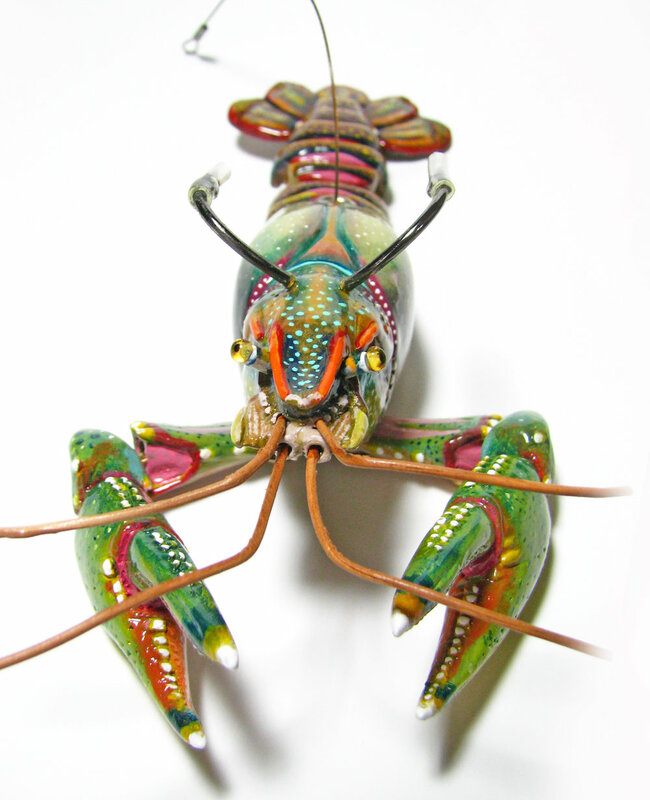 Carved from Poplar, weighted, and furnished with glass eyes. 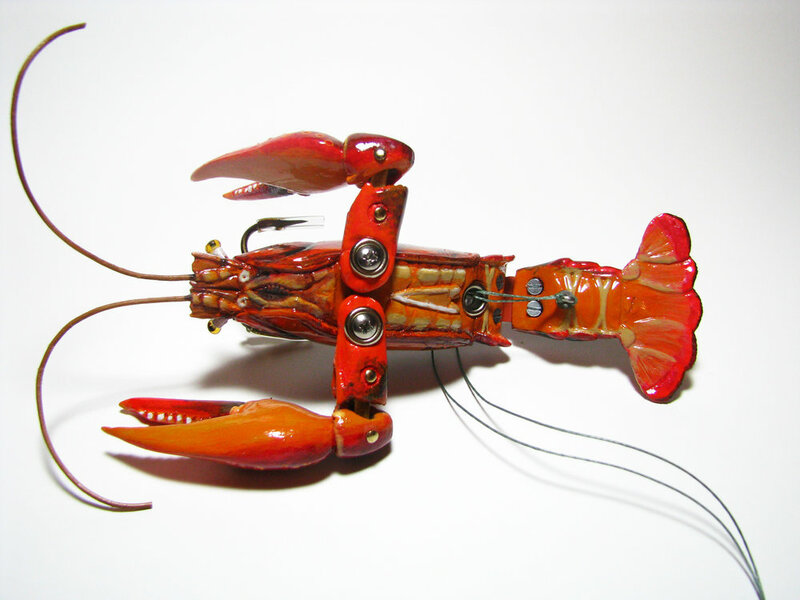 Tank tested.